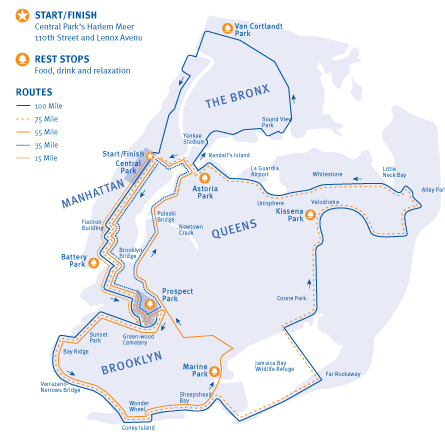 The NYC Century offers five route options (ranging from 15 to 100 miles) to provide all cyclists a great way to see New York City and explore some of the City’s best greenways and parks. This year the NYC Century Bike Tour will take place rain or shine on Sunday, September 13th, 2009. Sign up before August 21st and you’ll be eligible to use the express start on Ride Day. Register by July 3rd and you will be entered to win a Dahon folding bicycle!